When we really pay attention to our breath a spaciousness arises that has a quality of art in movement. Have you ever thought of your breath as an art piece? As a representation of a timeless geometric code? The exquisite Thomas Rucker photo above captured my attention in a very breath and body oriented way. It represented to me the Golden Ratio Spiral which is the mathematical expression of the life breath of a living universe. Golden Ratio Spiral spins the breath up, around and through the spine as well as spiraling back and forth through right and left nostrils. This is all a microcosm of the galaxy we spiral within. The air we breathe, and all life forms as we know them emerge out of timeless geometric codes. 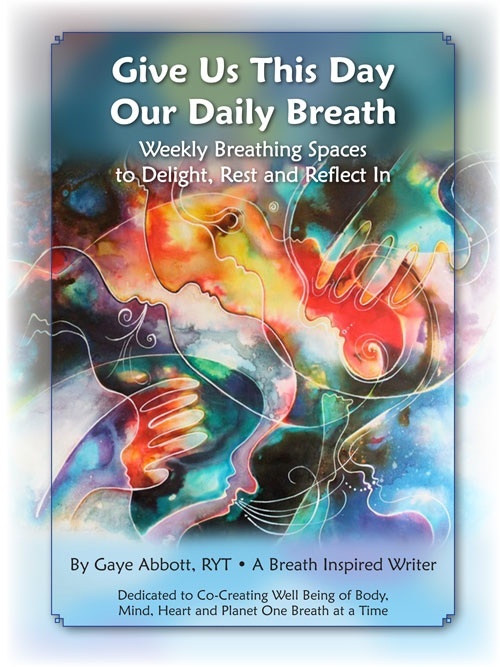 The very nature of our breath is a sacred representation of all life on Earth….and the entire Universe. Can you imagine what it would be like to be a tiny particle traveling on the back of the breath? The inner worlds you glimpse might take you shooting off in directions unknown and drop you down into the knowing of a moment nestled in the silence of a pause. We are an integral interconnected part of the spiral of life. Wrapping you in carefully selected layers of receptive earth, air and stone. Touch the layers of life around and within you.